Notes: Today I visited another part of the Langdon Hills Country Park, looking for geocaches. 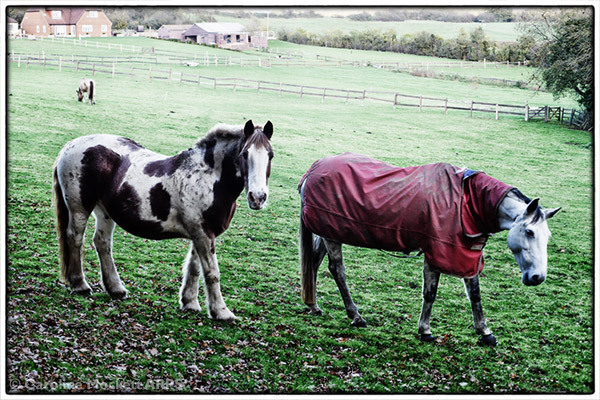 These two friendly horses were in a field next to one of the woodland walks. 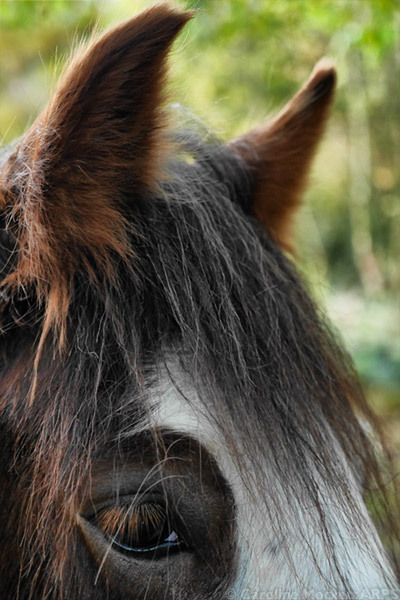 Notes: This friendly horse was in a paddock next to the footpath I was on for my afternoon walk. I liked the furry ears and long lashes. Notes: Being addicts, Alistair & I decided to find more geocaches today (as if the number we found over the last week wasn’t enough). Our target was a stretch of the Essex Way from Chatham Green to Gamble’s Green. 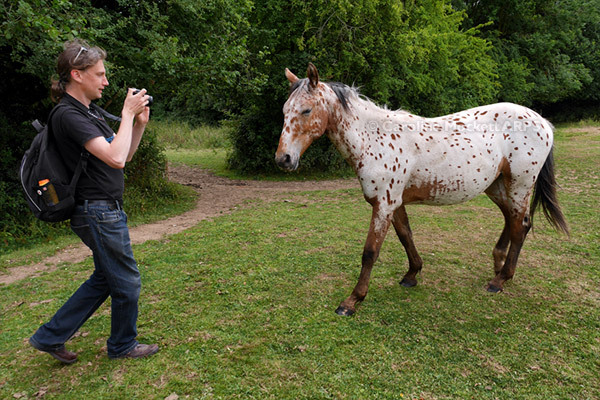 Near Great Leighs, we encountered some friendly horses who seemed very pleased to see us. Notes: The day has dawned! Plenty of work for me as Official Photographer for the UK’s Mega Essex 2015 Event. There was a lot to see, some interesting Lab Geocaches (prototypes) to play with and friends to meet. 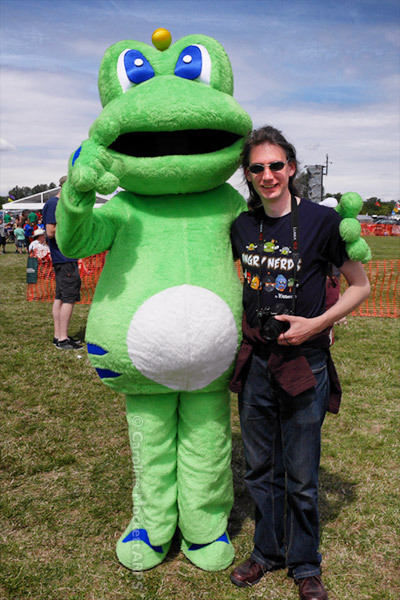 Alistair makes the acquaintance of Signal The Frog, the official Geocaching mascot. Notes: Another busy day as Official Photographer for the UK’s Mega Essex 2015 Geoaching Events today. 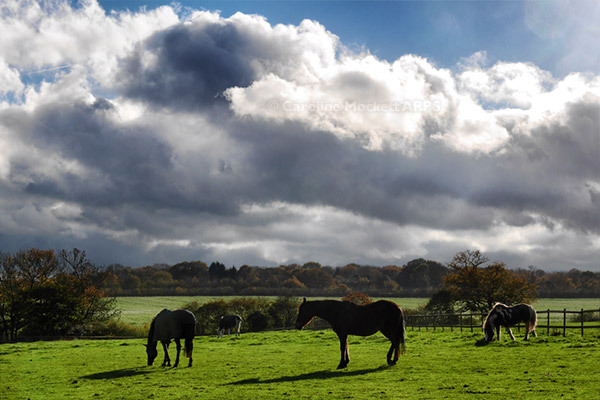 This morning we went to Hafield Forest for the Caching & Nature meetup. 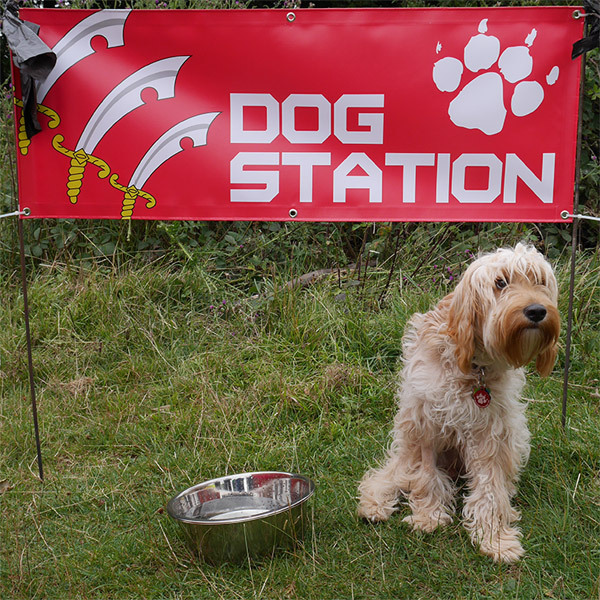 It’s where I met the lovely pooch, Marley. He posed so sweetly for me at the Dog Station. He belongs to John, the event paramedic, and is a nine-month-old Cockapoo (a Cocker Spaniel/Poodle cross-breed). He’s got such a docile nature, and behaves like a much older dog. He does love getting treats though! This evening, Alistair arrived to stay for the week and we then went out to the Stargazing Picnic at Barleylands. Unfortunately, the weather wasn’t very kind to us but we did enjoy the company. Notes: I stopped off for a brief walk in Chelmsford town centre this evening on my way home from the photo club BBQ in Great Notley. 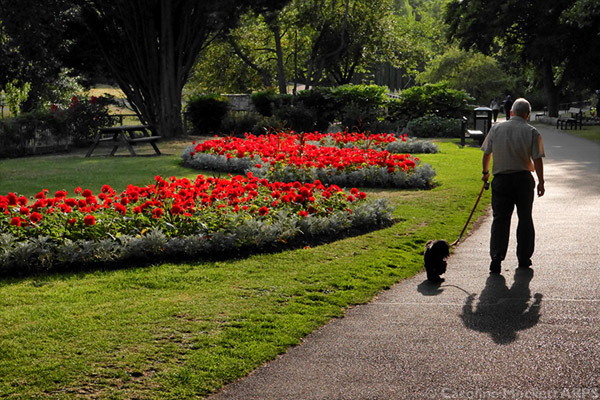 This old gent was walking his dog in the brief evening sunshine.